According to the MeT Department and the private weather forecasting agency Skymet, Delhi will see on-time arrival of monsoon while the rainfall in Long Period Average (LPA) is not yet clear. While Skymet prediction also expects monsoon to arrive anytime after June 29, it sees the pre-monsoon showers to hit the national capital from Monday, June 25. 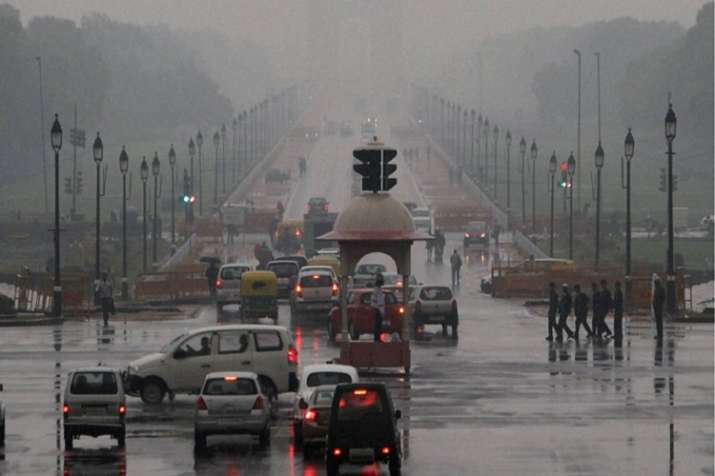 In a big relief for the Delhiites who are reeling under heat-wave-like conditions, the Indian Meteorological Department (IMD) on Sunday predicted that monsoon will hit the national capital anytime between June 29 to July 1. "The onset of north-west monsoon is expected to be between June 29 and July 1 for Delhi. The pre-monsoon showers can be expected around June 27," said M Mohaptra, senior scientist at IMD. The monsoon's course had been subdued for over a week. However, from Sunday, it has revived and started moving towards the north, weather analysts said. "Monsoon has revived and is moving northwards. It has already reached parts of Gujarat, western Madhya Pradesh, Vidharba, Odisha and West Bengal," Mahesh Palawat, Director of Skymet told IANS. He added that the revival of monsoon towards north was a great indicator that Delhi will receive on-time monsoon rains beginning "this week". Till first two weeks of June, monsoon rainfall was 19 per cent surplus, but after June 13, they reduced to a deficit of 4 per cent till June 19. However, even when subdued, heavy rainfall activity continued along the western coast and parts of northeastern states. According to the IMD, India is likely to receive a "better monsoon" than it did in 2017, with the entire country expected to see "normal rainfall" between 96 to 104 per cent from June to September, officials said. In 2017, the country received 97 per cent rainfall, which is considered normal. Earlier the IMD said India in 2018 is, quantitatively, likely to receive 97 per cent rainfall of LPA with error estimate of plus-minus four per cent. Projecting scope of better rains, the IMD in its second stage long-range forecast on Wednesday reduced the error estimate for the rainfall from earlier "plus-minus five per cent" to present "plus-minus four per cent". Rainfall over the country as a whole is expected to be around 101 per cent in July, while August is likely to see 94 per cent rainfall, the IMD had said. A model for prediction of monsoon by IMD suggested that rainfall average over the monsoon season is likely to be 102 per cent, with error estimate of plus-minus four per cent. A figure between 96 to 104 per cent is considered "normal" monsoon, while between 104 to 110 per cent is considered "above normal" monsoon. In 2017, the northwest India received 95 per cent, central India 106 per cent, southern peninsula 92 per cent and northeast India 89 per cent rainfall. Last year, while 72 per cent of the total area of the country received normal rainfall, 13 per cent area got excess rainfall and 15 per cent deficient seasonal rainfall.